Use blinc mascara AMPLIFED on clean and dry lashes. Try not to use any moisturisers on your face before you apply the mascara since the oil may reduce the mascara's hold on the lash. If you curl your lashes or if you use a primer, be sure to do so only before applying blinc mascara AMPLIFED. The tubes that blinc mascara AMPLIFED forms around your lashes will act like a "cast", holding your curl longer, as opposed to weighing your lashes down like conventional mascaras. 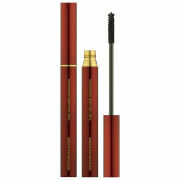 Twirl the wand inside the mascara tube to coat the lash. Hold the wand horizontally and start at the base of the lashes and go right to the tips. Wiggle the wand slightly from side to side as you apply the mascara. For the lower lashes some prefer to hold the wand vertically and gently apply the mascara lash by lash, while others lightly sweep across the lashes. Keep brushing blinc mascara AMPLIFED on until you have achieved the desired degree of lash separation, volume and length. Only the combination of lots of warm water and gentle pressure, from your fingertips, a washcloth or water pressure (ie: shower), will slide the tiny tubes effortlessly off of your lashes. 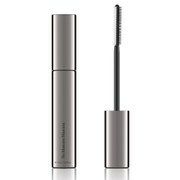 Lengthen your lashes with the Travel Size Mascara from blinc in Amplified Black. Instead of painting lashes black, blinc’s formula creates tubes around the lashes, resulting in a dramatic lengthening effect with increased volume. The mascara tubes are water resistant, smudge proof and flake proof, delivering long lasting, natural results that will appear as perfect at the end of the day as they did after application. The Amplified formula allows for buildable volume like a traditional mascara, coating lashes in several glossy, extending coats in order for you to achieve your desired look. 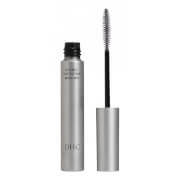 Only a combination of warm water and gentle pressure will work to remove the mascara, the formula is non-irritating and doesn’t require harsh makeup remover, ideal for sensitive eyes.